Established in January of 2011, the ActiGraph Scientific Advisory Board is composed of world renowned researchers and scientists from a range of disciplines, including metabolic research, exercise physiology and behavioral medicine. The ActiGraph Scientific Advisory Board’s primary objective is to provide the company with guidance and expertise as it continues to enhance its current hardware and software offerings and explores emerging applications for ActiGraph products. David Bassett is a professor in the Department of Kinesiology, Recreation, & Sport Studies at the University of Tennessee, Knoxville. He teaches courses in Exercise Physiology, Fitness Testing & Exercise Prescription, Clinical Exercise Physiology, and Human Obesity. His primary research interest is in the measurement of physical activity and energy expenditure in humans, using objective methods. He and his colleagues have studied the validity and reliability of accelerometers, pedometers, and heart rate monitors, and they have developed new methods of assessing physical activity. In many of these studies, respiratory gas exchange is used to measure energy expenditure; this provides a convenient “gold standard” for comparison purposes. Dr. Bassett has explored relationships between physical activity and body weight, blood pressure, and other cardiovascular risk factors. He collaborates with researchers in the fields of public health and transportation planning to study the relationships between active transportation and health. Dr. Bassett is a fellow in the American College of Sports Medicine, a member of the National Academy of Kinesiology, and he serves on the editorial boards of Journal of Applied Physiology, Journal of Physical Activity and Public Health, and Research Digest. 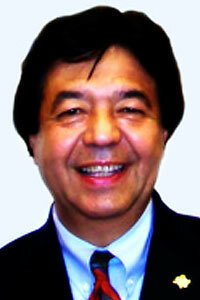 Dr. Victor KR Matsudo is a physician with specialty training in orthopedics, traumatology, and sports medicine. Dr. Matsudo is the Scientific Director and Past-President of the Physical Fitness Research Center of São Caetano do Sul (CELAFISCS) and a full Professor of Medicine at Gama Filho University in Rio de Janeiro, Brazil. Dr. Matsudo is the founder of the Agita Mundo Network, an international organization dedicated to the promotion of physical activity and the Chairman of the Agita São Paulo Program, organized by the State Secretariat of Health of São Paulo State. He is also a founding member and Chairman of the Physical Activity Network of the Americas (RAFA/PANA) and a founding member of the International Society of Physical Activity and Health (ISPAH). 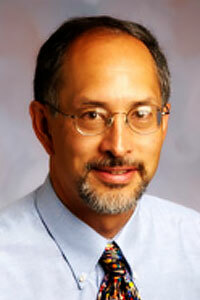 Dr. Matsudo has received numerous prestigious awards in the areas of sports science and physical activity, including the International Prize of Sports Medicine in the Barcelona Olympics in 1992, the International “Philip Noël Baker” award in Sports Medicine in 1995, and the International Prince Faisal Prize of the International Federation of Physical Education in 1996. Dr. Matsudo is the editor of the Brazilian Journal of Science and Movement and an editorial board member or former member for several international scientific journals. He has authored two books, 8 book chapters and numerous research publications in the fields of physical activity and sports science. 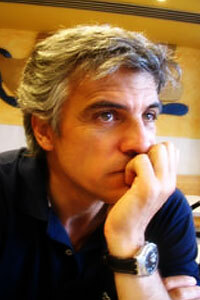 Dr. Mota earned his PhD in Sports Sciences at the Faculty of Sports Science at the University of Porto in Portugal. He joined the faculty of the University of Porto as a Professor of Sports Recreation and Leisure, serving as the Dean of Faculty during a two year appointment from 1996-1998. Currently Dr. Mota is Director of Research Centre in Physical Activity, Health and Leisure and Faculty’s President of General Assembly. A visiting Professor at several Brazilian institutions, Dr. Mota is adviser for the National Program for the Promotion of Physical Activity (MEXA-SE) and is involved in physical activity promotion networks including HEPA Europe and IPEN. His primary area of work is in issues relating to physical activity, its health related effects, and specifically its relationship with non- communicable diseases. Dr. Mota is also involved in the development and implementation of programmes related to physical activity and health promotion, and he has authored numerous peer reviewed publications. Dr. Spring earned her PhD in Psychology at Harvard University. Her research program on changing unhealthy lifestyle behaviors has been funded continuously since 1976 by grants from the National Institutes of Health, the American Heart and American Cancer Societies, and the Department of Veterans Affairs. 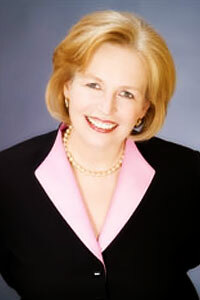 Dr. Spring is a Past President of the Society of Behavioral Medicine (SBM), an elected Fellow of the American Psychological Association, the American Psychological Society, and the Academy of Behavioral Medicine Research, and she holds the American Board of Professional Psychology’s Diplomate in Clinical Health Psychology. Dr. Spring founded and Chairs the NIH-sponsored multidisciplinary Council for Training in Evidence-Based Behavioral Practice, and she is founding editor of the journal, Translational Behavioral Medicine: Practice, Policy, Research and an advisory editor for the Journal of Consulting and Clinical Psychology, Journal of Clinical Psychology in Medical Settings, and Journal of Social and Clinical Psychology. 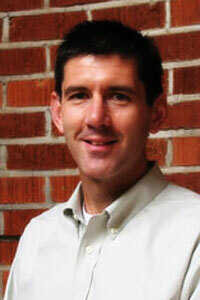 Dr. Trost earned his PhD in Exercise Science at the University of South Carolina. An internationally recognized expert in the field of physical activity and obesity prevention in children, Dr. Trost has published 95 primary research papers and 8 book chapters on the topic and has served as a consultant on matters related to measurement of physical activity and obesity prevention to numerous organizations including the National Institutes of Health, the United States Centers for Disease Control and Prevention, the Robert Wood Johnson Foundation, and the Australian Federal Government. Dr. Trost headed the scientific committee responsible for drafting children’s physical activity recommendations for Australian youth and was a member of the CDC panel to establish evidence-based guidelines for physical activity in school aged youth in the United States. Dr Trost has specific expertise in assessment of physical activity in children and adolescents, psychosocial and environmental correlates of youth physical activity behavior, and interventions to promote physical activity and healthy eating in children and youth.